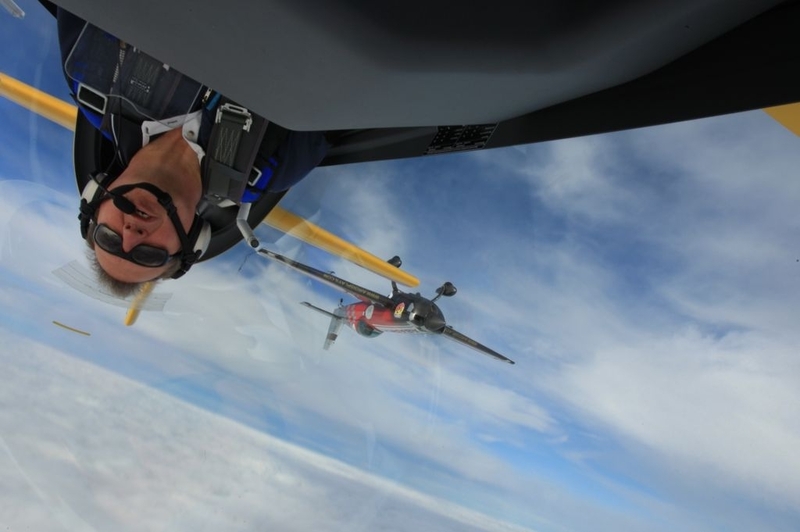 Mark Jefferies and Tom Cassells – the GLOBAL STARS – have already started their practice regime in prep for the 2012 aerobatic and air display season. After a very successful 2011 air show season when both pilots have been performing air displays and at air shows throughout the UK, and as far afield as China and Korea, the team has been in demand and receiving acclaim and huge media coverage. Last week the team took the opportunity to capture these stunning air-to-air photos with Tom piloting the Extra 300L with Mike from Action Air Images onboard controlling the camera – Mike is one of the best in the business when it comes to taking pictures of aircraft and being able to capture every asset, shape and contour… Thanks Jorgo!